HospitalPORTAL > Healthcare Intranet Blog > Uncategorized > How is Your Hospital Preparing for the Ebola Threat? How is Your Hospital Preparing for the Ebola Threat? Hospitals and other institutions across the U.S. are brushing up on their rapid response skills in order to prepare for the Ebola threat. How is your hospital doing this? Many HospitalPortal.net clients have contacted us as they create pages and content revolving around this whole new flavor of Emergency Preparedness. Some have added content on their Welcome pages, others have added and updated Policies and Procedures, while others have created entire pages to highlight resources to aid in Ebola Preparedness. In most cases, hospitals seem to be going with a multi-pronged approach, spreading content over several areas of the intranet and also making the intranet available outside the hospital. Hospitals have been reporting impressive page view analytics for newly created Ebola content, so we know this is content that is being sought out by staff. Key content that is commonly published includes facts and checklists, protocols, resources and guidance from CDC and World Health Organization, and RSS feeds from trusted resources. 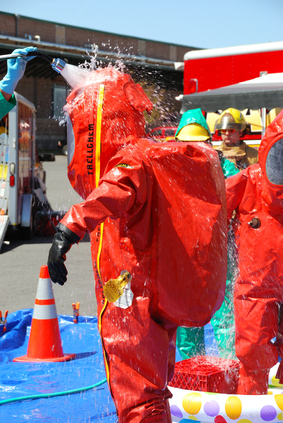 Has your hospital implemented an Ebola preparedness plan? Please comment to share your successes and challenges.